Excellence in leadership in our nation's public schools has never been more vital to our children’s success than it is today. The AASA National Superintendent Certification Program® is THE place for early career superintendents to develop the skills, knowledge and professional networks they need to become the excellent leaders our children, and our nation need. AASA has planned a robust experience that focuses on sharpening the skills that successful superintendents acknowledge are needed to thrive on the job, and provide a relevant experience for our members. 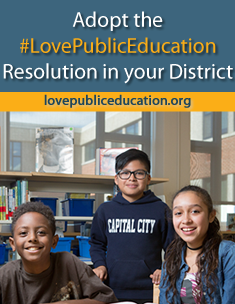 It is clear that political and economic pressures of the job are exacerbated by growing intrusions into local control and a prevailing attitude that educators do not have the solutions, and indeed, are part of the problem. Our certificate will help our members thrive in these difficult conditions. Join the West Cohort Class of 2021 and experience the benefits of this program on your superintendency and the transformation that can happen in your district. 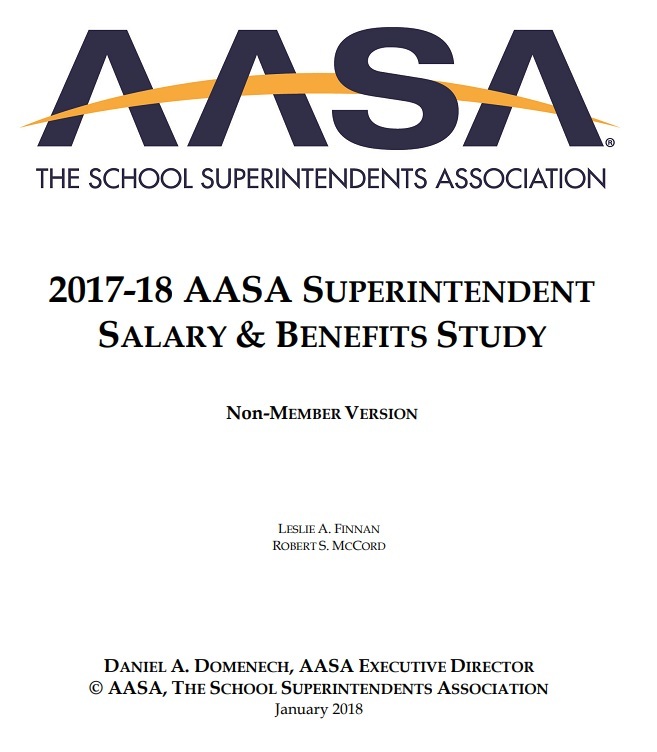 Read the letter from Dan Domenech, executive director, AASA. Superintendents discuss why the AASA National Superintendent Certification Program® is critical for school district leaders. Watch video [2:21]. 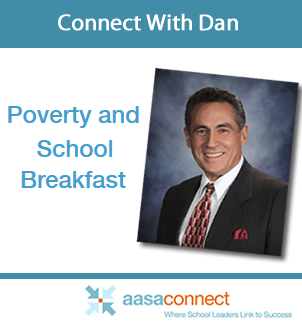 "Healthy school breakfasts and lunches are important safeguards against both hunger and childhood obesity," said Dan Domenech in his blog on AASA Connect. Tune in to AASA Radio! 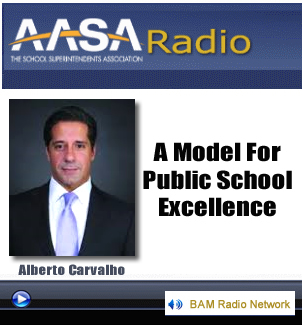 In this segment, Alberto Carvalho, AASA's 2014 National Superintendent of the Year, nationally recognized expert on school reform and finance, talks how they transformed their district's business operations and financial systems with the implementation of a streamlined Strategic Framework focused on a singular goal of student achievement. Our robust curriculum has been developed with extensive input from leading superintendents from around the nation and is personalized and delivered by dynamic lead teachers and expert guest presenters. Our mentors are current and recently retired superintendents who have been successful in leading change in a variety of districts around the nation. They are dedicated to sharing their knowledge and experience with the upcoming generation of education leaders, and they share their time and talent generously with our program participants. The Capstone Project is a practitioner-oriented project that will challenge Participants to use their knowledge gained during the Certification Program, current expertise, and work experience to analyze a district issue that requires intervention. 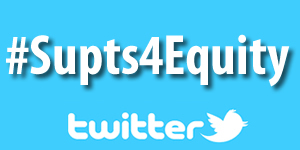 Participants will develop and implement an action plan to address the issue in a comprehensive and lasting way. To date, 70 AASA members have completed the AASA National Superintendent Certification Program®, with overwhelmingly positive results. The camaraderie, honesty and openness that participants describe are the experiences for which our AASA members have been asking. 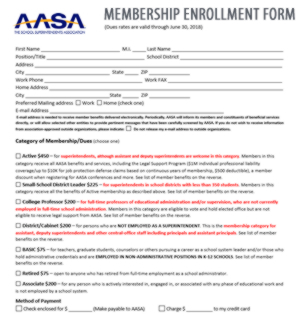 AASA membership is a requirement for the program. 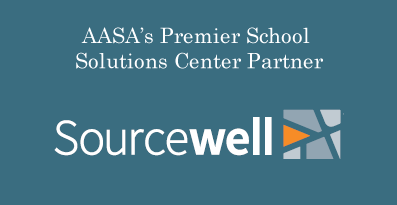 AASA is the premier organization for school district leadership. That's why we encourage superintendents who are in their early years on the job to consider enrolling our Certification Program. 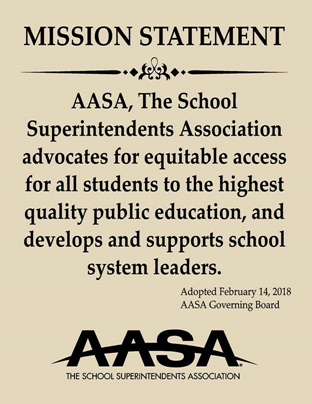 The AASA National Superintendent Certification Program® will continue to help our members successfully answer the call of leadership duties as we move our nation's school into a new era of success. 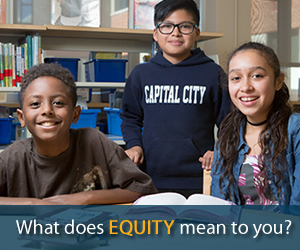 For more information, contact AASA National Superintendent Certification Program® Offices at 703-875-0700. We are grateful for the sponsorship of our generous partners which help make these meetings possible.